Planning a trip to Japan is exciting. But with so much information available on the internet and in guidebooks, it can also be a bit overwhelming at times. That’s why we’ve compiled this list of the Best Japan Trip Planning Resources from around the Internet. For even more Japan travel information, check out our free Japan travel tips and resources. To keep things as simple as possible, we have included only what we think are the best sites and resources in each category. In many places we’ve included links to our own website (since we always do our best to provide the most useful information possible), but the majority of these resources are from websites completely unaffiliated with us. If you happen to catch any outdated or inaccurate information, or would like to suggest another website or resource for inclusion, please let us know! This post was originally published in November 2013, and significantly updated in January 2016. Before we dive into more specific categories below, let’s start with these comprehensive websites, each of which is packed with general Japan travel information. Japan-Guide.com: The most comprehensive online English-language guide to Japan. It’s extremely detailed and frequently updated, and so useful that we have included several of its topic-specific pages below. Japan National Tourism Organization: As an official organization dedicated to promoting Japan travel, JNTO offers destination information, suggested itineraries, and more. JNTO Maps & Travel Guides: Great PDF maps and travel guides for various destinations in Japan. Wikitravel: An easy-to-use and fairly comprehensive travel guide to Japan. Japan is a year­-round destination with four distinct seasons, and is beautiful at any time of year. Japan’s Weather by Month: A month-by-month overview of Japan’s seasons and weather, including high-and-low temperatures, information on holidays, and more. Current Weather in Japan: The link goes directly to Tokyo’s weather, but you can use this attractive weather site to search for other places in Japan as well. Japanese National Holidays: A list of Japan’s annual national holidays, with links to further information about each. Particularly helpful to know when to avoid visiting Japan (in case you’d like to avoid the holiday rush). When is the Best Time of Year to Visit Japan? : Our overview of the seasons in Japan, and the pros and cons of visiting at different times of year. Perhaps the most exciting part of planning a trip is choosing what to do. Whether you’re interested in history, food, fashion, gardens – or almost anything else – Japan is full of things for you to experience. Japan’s Best Destinations: Our take on the best places to visit in Japan. Top 10 things to do in Japan: National Geographic’s top tips for Japan. Family-Friendly Activities in Japan: From our archives, an article about family travel in Japan. Metropolis Magazine (Tokyo): Tokyo-based English-language magazine with essential information on events (including concerts, arts, etc. ), dining and drinking around Tokyo, features on local culture, and more. Time Out Tokyo: A great source for things taking place in and around Tokyo. Tokyo Art Beat: Bilingual art and design guide for Tokyo, with listings of museums, galleries and art-related events. Kabuki Web: An excellent resource for kabuki. Nihon Sumo Kyokai: The official sumo basho (tournament) schedule (also see our post on sumo). Kansai Scene: A great resource for what’s happening in Kansai (i.e., Kyoto and Osaka). Get Hiroshima & Fukuoka Now: Respectively, Hiroshima’s and Fukuoka’s English-language websites for events and happenings. Resident Advisor (Tokyo): Club and DJ event listings for Tokyo. Tokyo Jazz Site: A compendium of jazz venues and goings-on in Tokyo. Japan is a food-lover’s paradise, and one of the world’s top culinary meccas. See our Japanese food page for an introduction to our favorite culinary experiences in Japan, plus our favorite culinary resources from around the internet. You’ll find our favorite websites devoted to everything from sushi and ramen, to coffee and whisky, along with street food, Michelin-starred restaurants, and much more. A lot of people worry about the language barrier, but in fact most travelers end up pleasantly surprised. Even when English is not spoken, Japanese people often go out of their way to help you. Denshi Jisho (Online Dictionary): The most user-friendly online Japanese-English dictionary. The Most Essential Japanese Words & Phrases for Travelers to Japan: Our guide to the most useful Japanese words and phrases, including our lovely Tiny Phrasebook for Japanese (available for download). Fodor’s Japanese Travel Phrases: Fodor’s Travel Guide provides free online Japanese-language resources for travel, courtesy of Living Language. This is perhaps the best free online Japanese-language travel resource currently available. Wikitravel Japanese Phrasebook: Wikitravel’s Japanese phrasebook contains an overview of Japanese-language basics, but most usefully it contains a handy list of useful phrases for travel. Japanese Language Cheatsheet for Travelers: Provided by the folks at Tofugu, this is a very basic “cheatsheet” for people with no knowledge of Japanese. Please note that it is designed to be used in conjunction with a dictionary (to fill in the blanks). JapanesePod101.com: JapanesePod101.com offers Japanese lessons for everyone, from absolute newbies with zero Japanese experience to advanced Japanese-language students. You do need to create a free account to access the resources, but it’s well worth doing. They offer plenty of free resources and paid resources as well. You can also download their podcast for free via iTunes. Jim Breen’s dictionary & Furiganizer: Two sites worth exploring for language geeks and slightly more advanced Japanese-language learners. Japan is an extremely modern country, but staying connected by phone and Internet has its quirks. Wi-Fi and Mobile in Japan: Since not all hotels and ryokans have Wi-Fi in the rooms, if having Wi-Fi is essential for you you may want to consider a pocket Wi-Fi from PuPuru or Ninja WiFi, which allows you to connect to the Internet remotely (subject to coverage). If you have an unlocked phone, renting a SIM card is an ultra-convenient way to stay connected while traveling in Japan. Tokyo Landing Card: A useful guide from our friends at Minaal and Tokyo Cheapo, with helpful tips on staying connected via mobile and Wi-Fi in Japan. Japan Country Code & Electrical Outlets: CountryCode.org lists Japan’s country code (81), city codes, information on how to dial for international calls, as well as the useful details on electrical outlets, voltage and frequency in Japan. Despite being known as an expensive destination, Japan is surprisingly reasonable. Money in Japan (Cash, Credit & ATMs): A very helpful guide to money matters in Japan. Tokyo Cheapo: Even if you’re not a cheapo, you’ll love this fantastic resource. Currency Exchange Rates: XE provides exchange rates so you can check on the Japanese yen, as well as track fluctuations and trends. Money in Japan: From our archives, learn about cash, credit and ATMs in Japan. Is Japan Expensive? : From our archives, we take on the myth of Japan as prohibitively expensive. Getting around Japan is one of people’s biggest fears­, but as you’ll see when you arrive, traveling around Japan is both fun and relatively easy, thanks to its incredible transport system. Flight Aware & FlightStats: Flight Aware and FlightStats allow you to track your flights in case of delays/cancellations. Hyperdia: It may take you a few minutes to get used to this website, but it’s worth it! Hyperdia allows you to plan your subway, train & bullet train journeys throughout Japan. You can use it to plan your trips down to the minute, since Japan’s trains are reliably punctual. Google Maps: Google Maps can also be a helpful trip planner, as an alternative to Hyperdia. 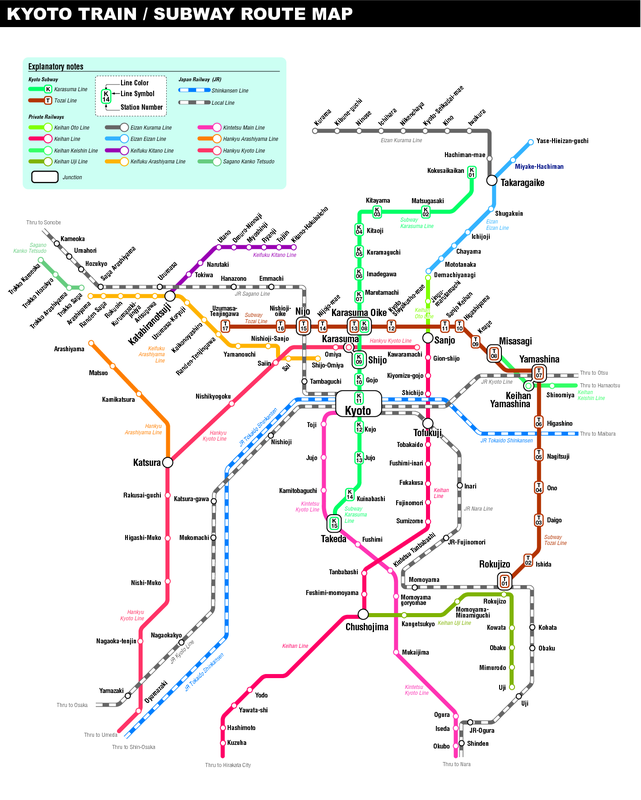 Train & Subway Maps: See the Train & Subway Maps section below. The Japan Rail Pass: Official Japan Rail Pass information provided by the JR (Japan Railways) Group. While we love the JR Pass, make sure to see our post on when not to use the Japan Rail Pass before purchasing. Official websites for Tokyo’s Narita Airport and Haneda Airport, with terminal maps and other useful information. Official websites for Osaka’s Kansai Airport and Itami Airport, with terminal maps and other useful information. Tokyo Subway Map: Tokyo has both subways and trains. There are a few different operators, but they work extremely well in conjunction with one another. This map shows Tokyo’s comprehensive subway system. Tokyo Train Map: As mentioned above, Tokyo has both trains and subways. This map shows the Japan Railways (JR) Group’s extensive train network in and around Tokyo. Comprehensive Kansai Area Transport Map: A comprehensive map with an overview of the transport around the Kansai metropolitan area, which includes Kyoto, Osaka, Nara and Kobe. Kyoto Subway & Train Map: A map including Kyoto’s subways and trains. Osaka Subway & Train Map: A map including Osaka’s subways and trains. JR Station Layouts: This can be a useful resource when planning journeys, and determining the feasibility of transfers. Current Local Time in Tokyo: This world clock lets you check the local times in cities around the world. Japan Visa Requirements: Visas are so important that you should definitely consult with an expert, but this link provides basic visa information from the Ministry of Foreign Affairs of Japan. Health Information for Travelers to Japan: Japan travel health-related information provided by the CDC (Centers for Disease Control and Prevention). Airport Tax & Customs Regulations: A summary of airport tax information, customs regulations and other basic but essential information on traveling to Japan, provided by the International Air Transport Association (IATA). US State Department: Japan travel information provided by the US State Department. UK Foreign and Commonwealth Office: Japan travel advice provided by the UK Foreign and Commonwealth Office (FCO). We hope these great trip-planning resources from around the Internet help you get the most out of your Japan trip! Arriving and departing via Tokyo is fine for most travelers, but depending on where you want to go – and other factors – it’s often very convenient to arrive via Tokyo (at either of its airports) and depart via Osaka (from either of its airports). Or vice-versa. Mish & Rob, we’ll be posting a lot more awesome photos from Japan over the next few weeks – so keep coming back unless you don’t want to be enticed! What a super-helpful list!! I will be visiting Japan for the first time in January and I have so much planning to do…this will help a lot! Kelly, so glad you are finding it helpful! If there is anything we missed, please let us know so we can continue to round this out.